Slowly but surely, Aoi is starting to realize that she might have feelings for Shusei despite his flirtatious nature. However, her worst fears seem to be realized when she comes home to find Shusei embracing another woman outside their apartment. Thankfully for Aoi’s sake the woman turns out to be Shusei’s sister Eri, but Shusei and Aoi are put in the position of having to pretend to be lovers to satisfy Eri’s questioning. Later, Aoi receives the attention of a star-struck underclassman determined to win her affection as Shusei and Aoi head to the dog-park. This is one of the most interesting volumes of manga that I’ve read recently, but in a distinctly different sense than you may be expecting. My enjoyment of this volume stems from my sheer awe at the way familiar genre conventions are seeming infused into the core of this series, and I was amazed at how author Ayu Watanabe managed to make each situation proceed in exactly the way one might expect. Shusei’s sister suddenly appears - and of course she’s into him and views Aoi as a romantic rival. There’s a sports contest at school where the girls compete to try and get the shirt of the guy they like - and of course Aoi somehow mistakenly ends up with Shusei’s. At first, I found this off-putting in the sense that I was hoping for a little creativity from the series, but as I read onward I found a strange enjoyment in wondering how Watanabe would construct each situation for maximum, err, shojoness. The reliance on creating moments perfectly embodying the idealized romantic tension-creating moment takes an especially hard veer into absurdist territory in this volume’s third chapter. This chapter followed Shusei and Aoi’s underclassman as they compete for her attention during a visit to the dog-park, and the results are so out-there (there may have been a little bit of biting involved) that I couldn’t help but laugh even though this probably wasn’t the reaction the author intended to elicit with these scenes. 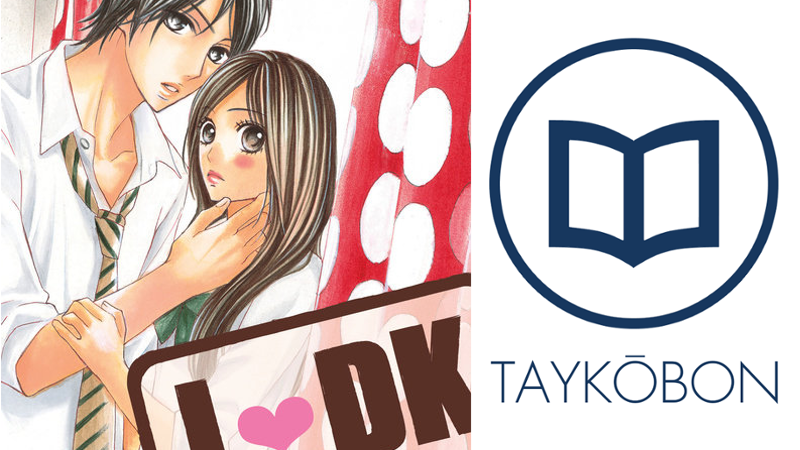 It takes some guts to nakedly embrace genre tropes with the sheer enthusiasm that LDK does in the volume, and if you’re looking for shojo genre conventions distilled down to their sugary core I have some excellent news for you. This series appears to take a strange pride in cramming as many of these moments as possible into each situation, and I can’t say I didn’t enjoy this once I fully accepted what this volume was going to be. That said, if you have any expectation of your manga doing something innovative with it’s story you’ll probably want to steer clear. As much I found a strange sort of absurdist enjoyment reading this volume, at its core this volume has a number of things very wrong with it. Chief among these problems is stunning lack of characterization throughout this volume, as it isn’t especially clear why any of the characters do or feel any of the things they do. Neither Aoi or Shusei seem to have personalities that go beyond a bare description of “Shusei is playful” or “Aoi is a nice girl”, and I continually struggled to understand the context behind any of their actions. Sure, it seemed like Shusei is secretly a nice guy for giving Aoi a necklace, but it was unclear why he actually did this because we know so little of his actual motivations. This might not be so egregious if it made a little more sense within the meaning of the story, but all of the characters are affected with this problem. In the end, this was troubling because it really felt as though the characters acted according to how the author thought would create the next manufactured “romantic” situation rather than acting in a way that was an extension of their personalities. The lack of characterization in this volume also has the unfortunate effect of undermining the development of Aoi and Shusei’s relationship. We are frequently shown situations that are supposed to be heart-pumping in a typical sense, but the problem is that these moments lack the context and grounding in the character’s personalities to actually have emotional appeal. Aoi frequently became flustered around Shusei, but since we know so little about Aoi’s personality it became difficult put any of this in context within her own development. This undermined several key moments of realization for her as they felt unearned in the sense that they just sort of appeared rather than feeling like the culmination of a natural build up. It’s a little unclear exactly why Shusei and Aoi even like each other beyond “he/she seems nice” because neither of them either display a semblance of depth in their personality or express any indication regarding what they like about the other. For a series that stakes itself so centrally around this relationship this is a real problem, and it’s difficult to recommend a volume which fails to sell the reader on these characters having any sort of romantic chemistry. As a final consideration, this volume’s artwork does its job just fine, but isn’t anything to really write home about. The character designs continue to be a bit bland, but are generally well-drawn with clean lines. The art highlights moments of emotional impact effectively, and even though I was never blown away the panel layouts were generally well done. The art is largely inoffensive with some nicer moments, and isn’t likely to be a selling factor for this volume. LDK Volume 2 has some serious problems due to the troubling lack of characterization for Aoi and Shusei, making it difficult to become invested in their relationship. Although I enjoyed seeing each exquisitely contrived scenario that Aoi and Shusei were put in, this often felt like a shortcut being made to convince the reader that they were developing feeling from each other instead of actually developing the characters. For those looking for an excellent shojo series, or those who don’t enjoy cliche in the extreme, it’s probably best to look elsewhere unless you think you may enjoy this volume in the same absurdist sort of fashion that I did. LDK Vol. 2 was published by Kodansha Comics USA on December 15th, 2015. Authored by Ayu Watanabe, the series began in 2009 in Kodansha’s Bessatsu Friend magazine with 19 volume currently released. Volume 3 will be published in English on February 23rd, 2016.